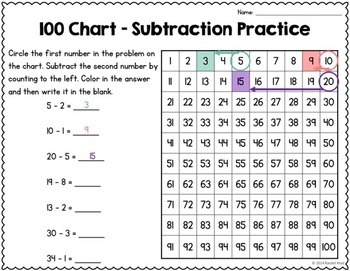 Subtraction Practice - Number Lines, 100 Charts, Ten Frames, & More! 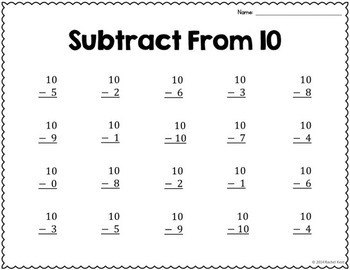 Students can build their subtraction skills with number lines, ten frames, 100 charts, and more! 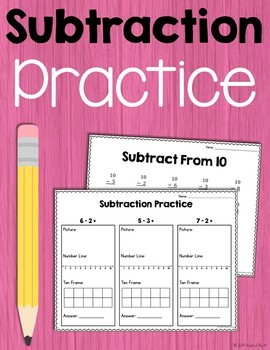 These activities are perfect for review, math centers, and just extra practice. 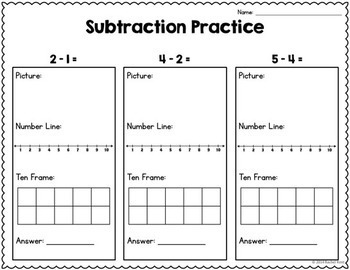 • 10 pages of subtraction practice (1-10) where the equation is given, and students have to draw a picture, show on a number line, show in a ten frame, and then give the answer.